Death Defeated Music presents an evening of intimate acoustic music and worship in the comfy comforts of a home living room. We will cram as many as we can fit which at this point we are estimating to be around 20. Claim your spot and RSVP to: DeathDefeatedMusic@gmail.com. 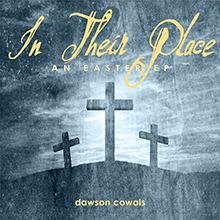 This is a new song I wrote this week based mostly on the familiar passage of John 3:16. As it is Easter week I was reading and reflecting on the amazing gift of salvation and God’s grace. I realized that I sometimes overlook this verse just because it has become so familiar since childhood, but I wanted to reawaken the wonder and thankfulness for the message it contains. The other verses used are listed at the bottom of the lyrics. Finally today we released “Precious Is The Blood” from the upcoming CD “White”. This song pays homage to the hymn “Nothing But The Blood”. It speaks to our thankfulness for the gift of the Cross and the shed blood of Jesus that can wash us clean and make us white as snow. Huge thanks to Nick Garrett-Powell for recording/producing this song as well as playing bass and percussion. Thanks to Tyler Geel for adding the great accordion and Amy Aldrete for her gorgeous voice! 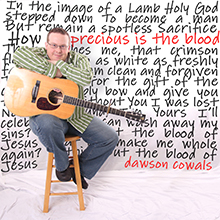 Here is the next single, “Precious Is The Blood” from the upcoming CD “White”. This song pays homage to the hymn “Nothing But The Blood”. It speaks to our thankfulness for the gift of the Cross and the shed blood of Jesus that can wash us clean and make us white as snow.